This is a superb fossil tooth from a very large prehistoric crocodile, found in the Late Cretaceous Kem Kem Beds of North Africa. it is impossible to determine specific species based on a single tooth. 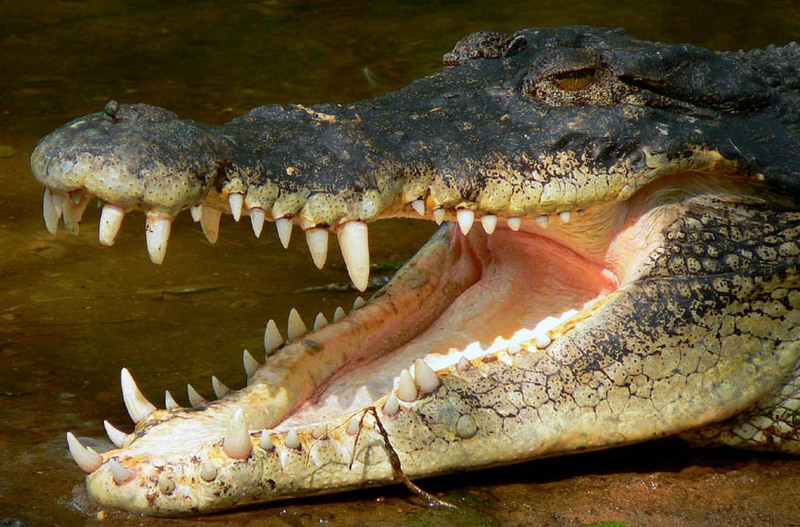 Crocodile dentition is so varied in size and type per animal, that making such identification is impossible. To date, four Crocodilian species are present: Elosuchus cherifiensis, a Trematochampsid, Araripesuchus rattoides and Laganosuchus maghrebensis..
As a dinosaur-era crocodile tooth of SUPREME quality, this fossil is INTACT WITH NO REPAIR AND NO RESTORATION. The stunning color and grain is 100% genuine and natural. Prehistoric crocodile teeth are an affordable and collectible predator fossil. They make for a great addition to a well-diversified collection or a perfect way to start a fossil tooth collection. Crocodylomorpha is a group of archosaurs that includes the crocodilians and their extinct relatives. During Mesozoic and early Cenozoic times, crocodylomorphs were far more diverse than they are now. Triassic forms were small, lightly built, active terrestrial animals. These were supplanted during the early Jurassic by various aquatic and marine forms. The Later Jurassic, Cretaceous, and Cenozoic saw a wide diversity of terrestrial and semiaquatic lineages. "Modern" crocodilians do not appear until the Late Cretaceous. Vertebrate fossils are found in three of the formations of the Kem Kem Beds. The Aoufous Formation is a geological deposit that contains some of the vertebrate assemblage of the Kem Kem Beds, of Late Cretaceous date. Two other formations comprise the Kem Kem beds: the Ifezouane Formation (below the Aoufous Formation) and the Akrabou Formation (above the Aoufous). The Aoufous Formation shows a similar fauna to that one found in the Bahariya Formation of Egypt. In both these formations, Carcharodontosaurus saharicus and Spinosaurus aegyptiacus are found. In addition, several species of crocodilians and fishes are shared. Because fossils from the formation are usually retrieved by local people who are untrained as geologists, it is difficult to know the exact provenance of many of them. For this reason, the provenance of a fossil from the Ifezouane and the Aoufous Formations is not generally specified; in any case the two formations seem to present the same fauna. The region must have been a swampy floodplain, rich with all forms of life. Numerous species of dinosaurs, shark, fish, turtles, amphibians, crocodiles and on rare occasion, pterosaurs.